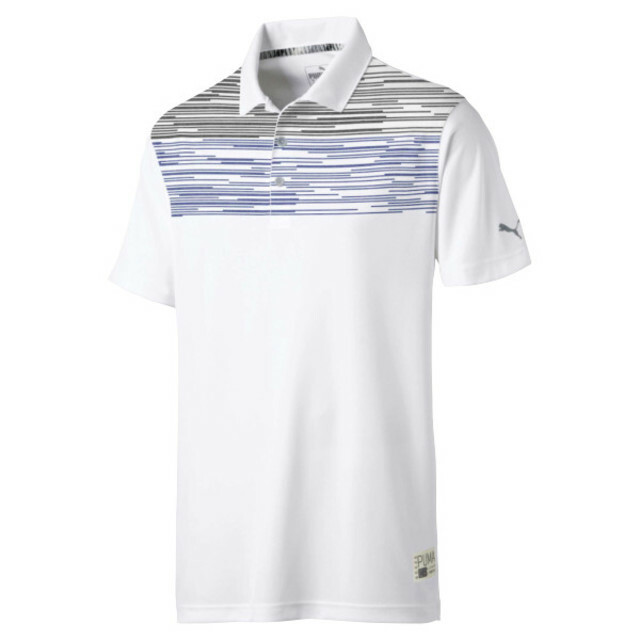 In recent times, the demand for golf apparel that is suitable for on and off course wearing has spiked massively. It seems to be that all of the main players in the clothing market are aware of this and PUMA are no different. Their SS19 range, which has been revealed this week, features apparel for men, women and juniors and incudes some of their most innovative technologies. Focusing to begin with on the clothing designed for the top half of the body leads us straight into some of the most unique technologies that PUMA have used in their products. Firstly, the ALTERKNIT technology is a 3D knit design which is designed to look great wherever you choose to don the PUMA gear and also to add to the breathability of its pieces. The men’s Prismatic, Radius and Palms polos as well as the female Burst into Bloom polo all feature the brand new technology. Building on 2018’s FUSIONYARN fabric, PUMA have worked to the requests of their professionals such as Rickie Fowler to create a more flexible fabric which ensures players can get the most out of their movement during the golf swing. The FUSIONYARN Flex features a blend of cotton and polyester which allows for plenty of stretch and feels soft and breathable. Furthermore, PUMA have taken into account the unpredictable weather of the springtime and ensured that the pieces featuring FUSIONYARN Flex dry quickly. The Verdant and Faraday polos are two of the primary pieces on the men’s side which include the fabric, whilst the female Burst into Bloom and Race Day polos also have the technology. As I’m sure you’ll know, PUMA do not just focus on creating great apparel for the top of the body, but also for below the waist. The SS19 collection again includes some fantastic trousers, shorts and skirts, unsurprisingly, in some very bold colours. The men’s Jackpot trousers and shorts are designed to fit comfortably and work with the body throughout the golf swing as well as off the course. The Jackpot range is made from a polyester fabric and have a stretch-mesh waistband for optimum performance. As I mentioned, PUMA cater for every taste when it comes to colourways. 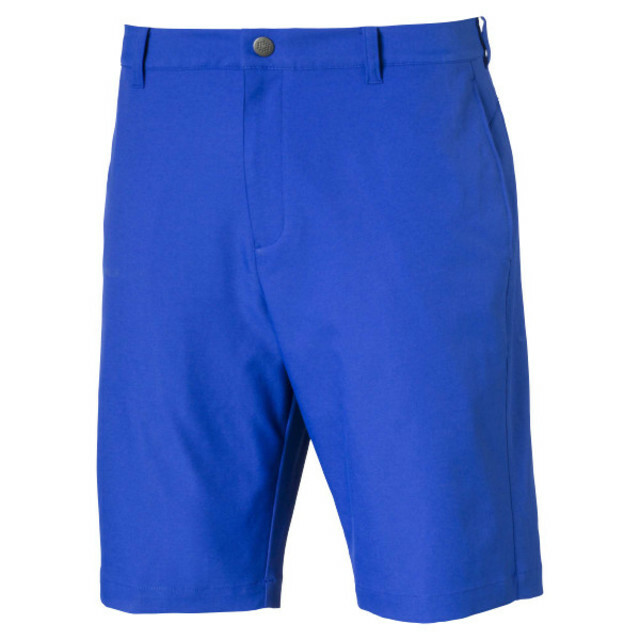 The Jackpot trousers is available in nine colours and the shorts is available 14. The PWRSHAPE™ Technology features once again in the women’s apparel for below the waist and is focused on providing a smooth looking appearance as well as offering the support of high-quality golf apparel. The most notable introduction to the ladies’ line is the PWRSHAPE On Repleat Skirt. This skirt is inspired by the unmistakable tennis skirt and is available in four varying colourways.